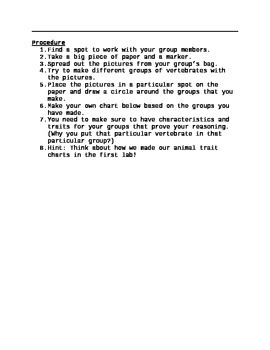 This inquiry based lab activity allows students to explore the vertebrate group of the Animal Kingdom. Using the Scientific Method, students sort and classify various pictures of vertebrates into self created groups. They analyze their thought process through discussion and final questions.